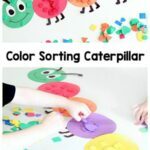 My son loves games and this color alphabet game was a huge hit! He actually asked me to play several times in a row and then asked if we could play later that night. 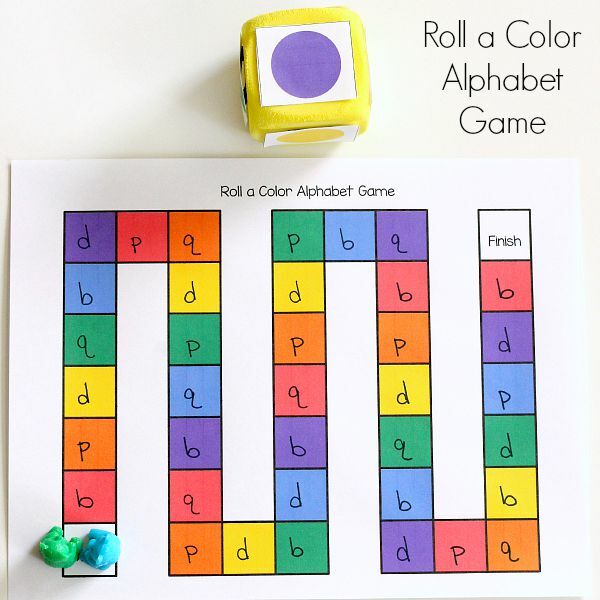 My Letter Sounds Alphabet Game has been very popular, so I thought I would make another alphabet board game. 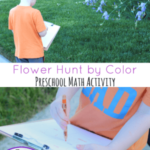 This one reinforces color identification and letter recognition. 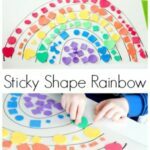 You can even skip the letters and just use it to practice learning colors too! 1. 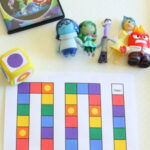 Print out the game board and color dots. 2. Cut out the squares with the color dots on them. 3. Tape one color dot to each side of the die. 4. Write one letter on each square on the game board. I recommend choosing 4-6 letters to repeat on the board. I chose to use b, d, p, and q because Evan gets those confused. 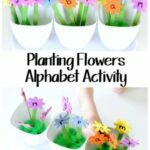 You could also use the letters in your child’s name or any other combination of letters. Put the game pieces on the start square. 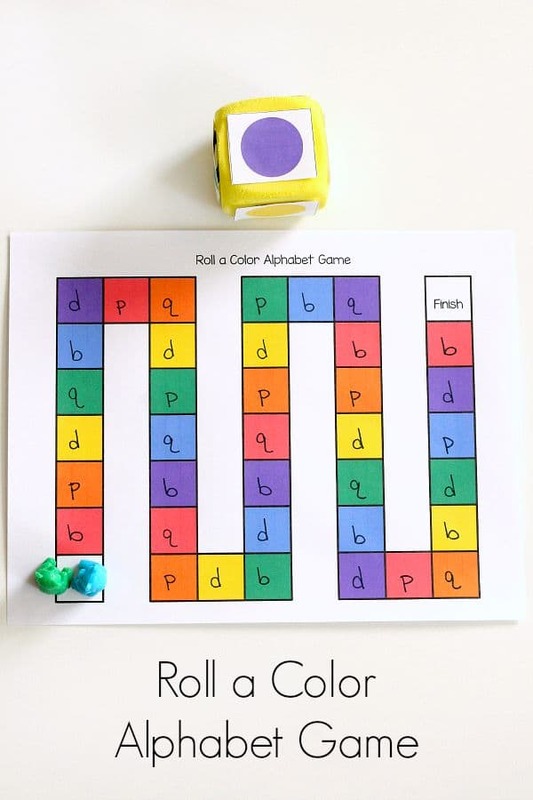 The first player will roll the die and identify the color that is facing up. Then move their game piece to the next instance of that color on the game board. When they land on the color they rolled, they should then look at the letter that is on that square and identify it by name. 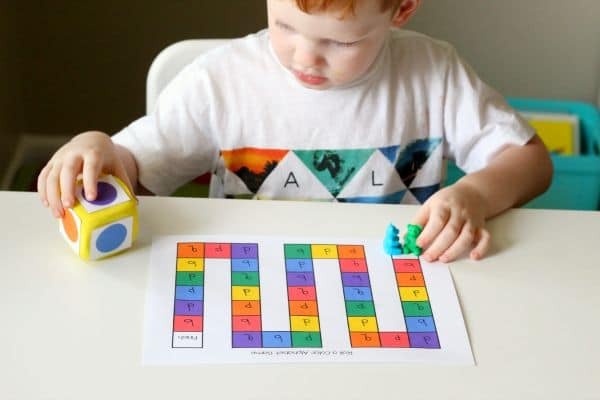 If your child is just learning to identify letters, you can also just name the letter they land on. Evan loves playing games like this because it is very easy for him to beat me. 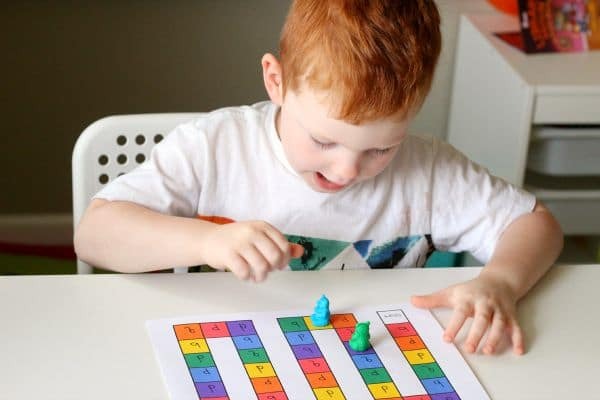 He continues to move across the board game even when he can’t name the letter he lands on. 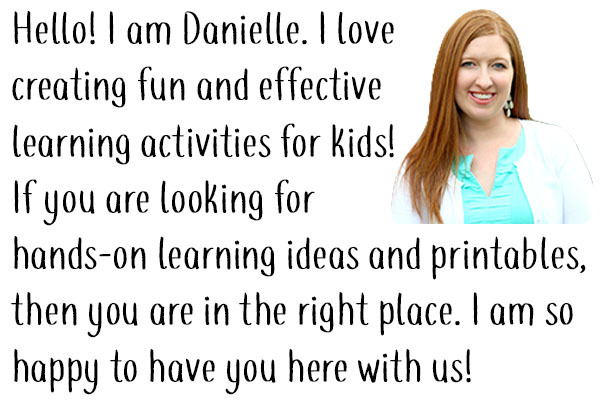 It is simply a way for me to review and reinforce letter identification and letter sounds. 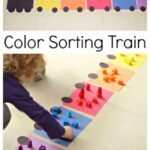 This would also be perfect for an alphabet or literacy center. 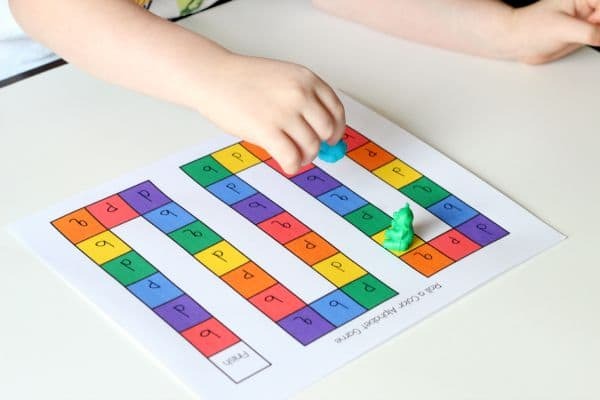 Two or three students can play together and help each other identify letters on the game board. You could even play it while meeting with small groups during center rotations. I know this is a game we will be playing often. It’s not always easy to find an activity that is super effective while also being fun and engaging to him, so I am happy to play it again and again! Don’t forget to check out all of the other posts from the ECE Team below! There are so many great ideas!